We help you select your frame, type of glazing and mat colors, then put it all together. We can frame anything imaginable using our state of the art computerized mat cutter and frame shop. See the Materials page for more information about what frames, glass and mats are available. We make handmade frame moldings from different types of wood and metals. Our computerized engraving machine will engrave letters, numbers, logos, pictures and anything in between. We can provide the object to be engraved or you can bring it. Customize your framed item with engraving. You can add a descriptive plate to go into the framing package. Engraving opens up many new design possibilities. Dry Mounting done on acid free foam board. Your art or picture will look crisp hanging in a frame without wrinkles or waves for years to come. Please stop in today or call if you have questions! Angie just wanted to thank you again for the beautiful framing that you did for us. The little pink robe and booties, everyone just loved it. I already have people asking about you! Will deffintllty send people your way. You did a great job and we absolutely loved it. I walked in with a basic idea for my brother&apos;s Christmas present. I sat down and talked with Angie and realized how much is involved in custom framing which I wasn&apos;t expecting. She is full of ideas, helped break down the process and my brother LOVED his custom made baseball frame! I highly recommend them and a good drive is absolutely worth the outcome! This couple is so sweet and made me feel right at home! Thanks so much for everything you did, I&apos;ll definitely continue bringing business to them! I had a gift framed for my mom and she loved it.... I am now the favorite daughter. lol!!! The man and woman were both very nice and helpful. And thank goodness they were able to see what I couldn&apos;t... I had no idea which way to go so many many thanks to them both for all their guidance. Angie and her staff have been terrific. My husband and I have a small business that depends on quick turnaround and getting it right the first time. That&apos;s why we go to Affordable Custom Framing. What a pleasure it is to work with folks that are dependable, knowledgeable, and just plain nice! 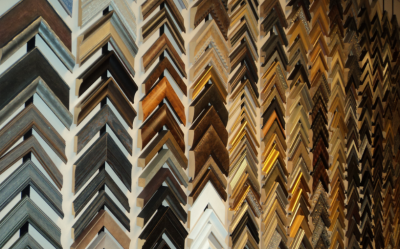 I&apos;d recommend this business for anyone who has customer framing needs at the right price. Thanks for your fine work! I have used Affordable Custom Framing to have a military picture framed for my husband. They offer a great selection of frames and mats. They also offer acid free options. I will definitely use them again.